Lava Mobiles have introduced two new entry-level smartphones in India under its "A" line-up, namely A50 and A55. Both device comes with roughly same specs and has same outer design, their only difference being the first having 512MB of RAM while the later includes 1GB of RAM. The Lava A50 and A55 features 4-inch WVGA display; are powered by quad-core processors, sports 5MP and 0.3MP cameras, and are fuelled by 1,150mAh battery. The smartphones runs Android 6.0 Marshmallow out-of-the-box but lacks 4G LTE . 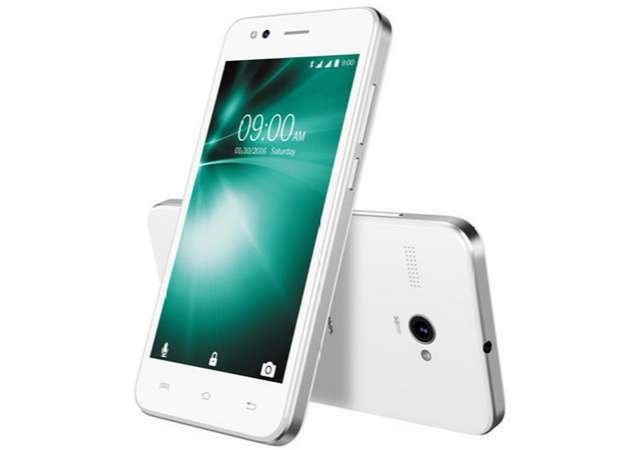 The Lava A50 is priced at Rs 3,999 (US$58) and the A55 at Rs 4,399 (US$64). Both are listed on the company website and will be available soon.